Taking up the challenge, we decided to decipher what they were looking for in their new business website. We were approached by Sweet Sleep Associates to design and develop a business website which would enable them to showcase their products in an effective way, as well as introducing people to their additional services, which facilitates their clients, such as, house calls and access to a highly qualified insurance specialist. The process of putting any idea together is relatively the same. First you have to gather the required information which will then be used as the building blocks of the assignment. 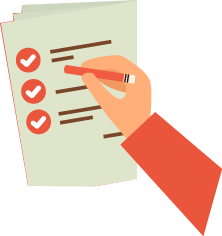 We were lucky enough in this sense that we had found in Sweet Sleep Associates, clients who not only know exactly what they want, but also extremely understanding to our suggestions as well, which only made the process a lot easier. 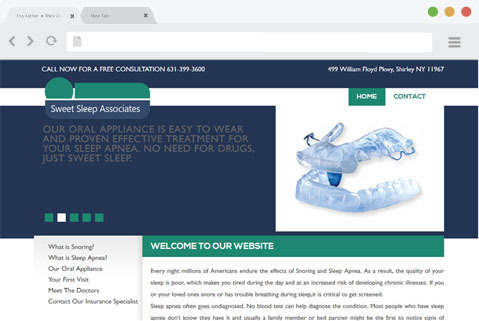 Having a core team of website designers, developers and SEO wizards, we were able to create not only a robust design for Sweet Sleep Associates, but also a very successful one, which was later on proved with their substantial increase in ROI. 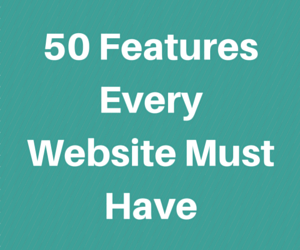 The various features which make up a website are very important, which is why we put ourselves to the test in making a simple yet highly interactive website for Sweet Sleep Associates. • Mobile Responsive: Being mobile responsive is the best thing a business could ask for. Sweet Sleep Associates did, and so we put together a website which can not only be easily accessible via your computer, but any handheld device as well. A light design, and easy scrolling options, minus the unnecessary images (in a mobile website) means browsing on your Smartphone or tablet is a breeze. • Search Engine Optimized: No matter what people say, search engine optimization is important for any business website. 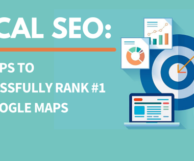 Keeping its importance in mind our team of SEO experts put together a list of effective keywords and incorporated in strategically in the content of the entire website, making sure that Sweet Sleep Associates were completely covered on the SEO front. It is without a doubt that these efforts lead Sweet Sleep Associates to hit the first page on the SERPs, which is regarded as prime real estate for business websites. • Professional Appearance: When it comes to the appearance of a website, paying attention to every detail is necessary. With our experienced and knowledgeable design experts, we were able to create a simple yet efficient website for Sweet Sleep Associates. After viewing their portfolio, it became clear that we had to incorporate all the information of Sweet Sleep Associates’ services. To do this effectively, we not only added a banner right at the top of the front page, but also included some very specific questions at the left had side of the website as well. This allowed all those who were interested in getting a procedure, to get the information they needed right from the get go, instead of having to scroll down a long FAQs page. Contact information and the address are also placed right on the first page, so clients don’t need to click over and over again once on the website, because it’s all right there. With our imaginative, prompt, and professional approach in designing the business website for Sweet Sleep Associates, we were able to create an extremely responsive design. From conception to production, our web design and SEO experts worked together extensively with our clients to make sure that they got the design they which they wanted.